Our LDPE Jazz is made from reclaim blown Mixed colour selected post-industrial LDPE films, filtration of 110-130μm is employed in the manufacturing process of our pellets. All components used in the manufacture of this product are made from film produced from polymers that meet the requirements as detailed in the packaging (essential requirements) regulations 2015 (implementing 94/62/EC and subsequent amendments), specifically sections 6-12 relating to concentrations of heavy metals. Our LDPE off Natural B is made from reclaim blown Natural colour selected post-industrial LLDPE/LDPE film, filtration of 110-130 is employed in the manufacturing process of our pellets. All components used in the manufacture of this product are made from film produced from polymers that meet the requirements as detailed in the packaging (essential requirements) regulations 2015 (implementing 94/62/EC and subsequent amendments), specifically sections 6-12 relating to concentrations of heavy metals. 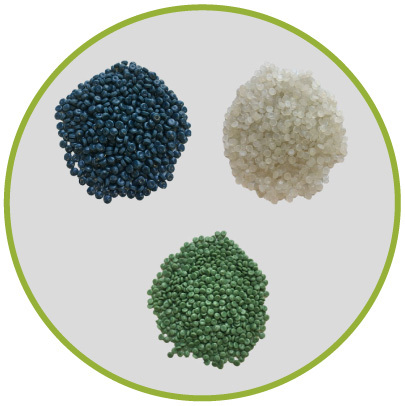 We have a range of LDPE compounds for sale and below you can find our Pellet Specification Data Sheets.